In today’s interview I get to speak with ketone researcher, Dr Brianna Stubbs, about what are the benefits of drinking a ketone ester and how to use this new health supplement. Brianna is very passionate about understanding how exogenous ketones influence our bodies. 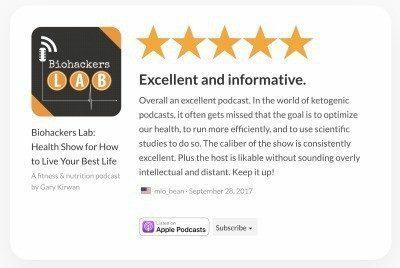 She was a previous guest on the Biohackers Lab show where she explained tons about what are exogenous ketones supplements. In todays interview we get a chance to talk more about exogenous ketone esters as the ester she was researching in Oxford is now commercially available to the public. This is via the new HVMN ketone ester drink available here. We talk about what are the special health benefits of ketone esters, how to take a ketone ester, how much can you take per day, best time to take the ester, who can benefit from taking the ketone ester supplement and way more. If you know someone who is interested how to use ketones for athletic performance and brain fuel then this episode is for them! I enjoyed this interview as I have a keen interest in knowing if we should take a ketone supplement, but also the research that is being discovered on the benefits of ketones on our muscle and brain health. After speaking with Brianna I have a better understanding of how ketone esters work and some extra ideas of when to try a ketone ester. I particularly would be interested in using a ketone ester drink for cognitive enhancement like Quantified Bob Troia showed with his ketone ester experiment. If you’d like to find out more about HVMN then listen to co-founder HMVN Geoffrey Woo interview here. You can order the new HVMN ketone ester here. Special thanks to Brianna for joining me on the show. Enjoy the episode! You can follow Dr Brianna Stubbs on Twitter @BriannStubbs or connect with her on LinkedIn to contact her about her research. 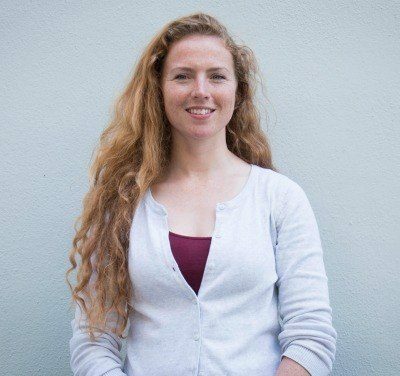 [0:20] – This week we welcome back Dr Brianna Stubbs – who was on the show before, talking about ketone esters – to talk more about the HVMN Ketone, which is the world’s first commercially available ketone ester drink. [3:22] – D-beta-hydroxybutyrate, acetoacetate and acetone are biological ketones. Other molecules such as the raspberry ketones have ketone chemical groups and are chemically classified as ketones, but are not biological ketones. These are different structurally and can’t be used as an oxidative fuel source. Brianna explains the difference between raspberry ketones & ketone esters or salts and where confusion can arise. [5:54] – Brianna is a research lead at HVMN (pronounced human), the company producing the esters which are now available for pre-order and will be shipped out in early 2018. [6:40] – Last time we started to get into the athletics side of ketones, today Brianna can reveal more about the effects of ketones on performance. Previously, the only way to achieve ketosis was through the ketogenic diet but now people can take the ester along with carbohydrates in a normal diet and add another fuel available for the body to burn; this combination creates a synergistic effect boosting performance. Ketones release the pressure of carbohydrates being the sole source being burned for fuel and more is available in later stages of activity. [10:10] – Discussing the differences between endurance sports and power sports such as weight lifting or sprinting. Brianna explains, ketones work better for endurance performance, for sprinters ketones have little effects as the fast burst energy release is very reliant on carbohydrate metabolism. Ketones are most likely to be beneficial with aerobic respiration and long endurance sports. In saying that, research will be coming out soon looking at the effects of ketones on recovery. Brianna believes adding ketones esters will really benefit athletes in terms of recovery as well. [12:33] – For the average gym-going person who weight trains and is looking to optimise body composition, adding ketones tends to result in a favourable outcome and enhances the effect of having an appropriate amount of calorie excess, doing resistance training and adequate protein intake – all which are necessary to build muscle. [13:50] – We talked about Professor Stuart Phillips about the dangers of not having enough protein when following a ketone diet and losing lean muscle mass. Brianna agrees that sometimes people are afraid of having too much and triggering gluconeogenesis. She adds that it can be very difficult to follow a well formulated ketogenic diet and that it can take a bit of experimentation to get it right. [14:23] – So, can we up our carb intake for athletic performance purposes and still maintain a good weight control by taking a ketone ester? Brianna explains this does depend on a type of carbs we are eating as esters don’t inhibit insulin excretion. Slow release carbohydrates could still give you good weight control in combination with ketone esters, but Brianne is waiting to see more research on this before offering a fixed opinion. [16:00] – Other than benefiting athletes, ketone esters could benefit the general public in terms of weight control, when they are trying to adjust to a ketogenic diet/lower carbohydrate intake to lessen symptoms of hypoglycaemia and help avoid the keto flu or when struggling doing a long fast. There is more work to be done to explore more uses for the general public and the clinical area as the current focus was primarily on athletes. [19:31] – We talk about the recommended daily dosage for ketone esters, is there such as thing as too much? HVMN advises not to take more than three a day. Brianna explains how the exogenous ketones don’t build up to a harmful level in the way that diabetic ketoacidosis would. This means that even if the level of exogenous ketones is raised too high, the body is still able to burn them and bring the levels down again within a few hours. [22:30] – Brianna describes what taking the esters feels like for her. She feels switched on, focused and energised. When used as a nootropic, early evidence suggests it improves cognition; some people report feelings of clarity and some data from research done with animals does shows improved cognition. As with most things, however, not everyone feels the same effects and there are people who don’t feel anything. Brianna recommends people try it for themselves and do their own n=1 experiments. [25:24] – Are the ketones esters safe to be taken on a long-term basis? HVMN ketone esters are a food approved by the FDA and Brianna is confident it is safe, but more research is needed to confirm this. Another consideration is that the current cost of the esters would prove prohibitory for most people who wish to use the esters every day. In the future, the cost will come down and people might decide to incorporate the esters as part of their day-to-day diet. [27:14] – Since the launch there have been different teams and sports people using ketone esters, however at this stage no one has been using it for a longer period due to a limited availability. Our understanding of how to use training and nutrition is becoming more sophisticated and we now understand how it needs to be adapted according to different demand and seasons. [28:58] – HVMN ketone esters are WADA compliant – as they are a food stuff – so professional athletes can use them. They are also batch tested by the NSF and certified safe for athletes to take. We talk about how different teams/athletes might benefit using the ketone esters in the future, including rowers as well as other light weight athletes, endurance runners and boxers or rugby players (animal studies have shown ketones could potentially buffer some of the neurological damage). Brianna explains how she would love to work with some of these groups of people and run more studies because we do need more data. [37:45] – Brianna highlights the importance of looking at exogeneous ketones studies critically; often all exogeneous ketones are lumped together and it is assumed the effects will be the same when taking different ketone esters or a ketone salt but that is not the case. She explains some the recent studies that have come out and what to look out for. Another thing to note is there is another ketone ester that has been studied recently that has acetoacetate versus the beta-hydroxybutyrate (which is in HVMN ketone esters) which behaves differently in the body. [39:53] – Some important takeaways: the first important distinction to make is between exogenous and endogenous ketones, following that, when looking at exogenous ketones, it is important to look at what ketone compound is being used, how high is it getting the ketone levels and is it acetoacetate or beta-hydroxybutyrate. All ketone supplements are not equal! It is important to take note of all the subtleties and make distinctions between these differences when figuring out what to use and how to use it. [44:07] – To order the HVMN ketone esters go to their website here check out their launch video and keep an eye out for Brianna who makes an appearance as a rower. There is an option of to order a 3, 12 or 36 pack. For people outside of the US (they currently ship only to the US) visit their help desk for forwarding options.